A discussion about music with my friends led to the fact that many of the best bands come from the most prestigious schools. 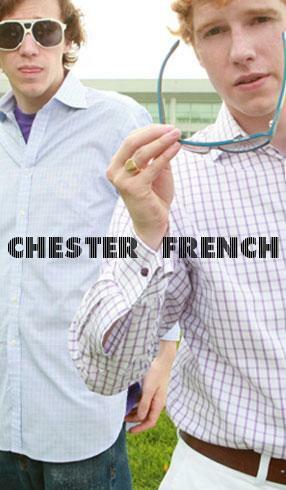 Take the band Weezer from Harvard and Vampire Weekend from Columbia. This led to the quirky and facetious Maxwell Drummey and D.A. Wallach who make up Chester French who have been mingling with the likes of Kanye West and Pharrell Williams. Sign me up for a guy who has intellect without being narcissistic, has the confidence to wear Thom Browne, and can kill the guitar.